Rail. Air. Road. Water. None of these four methods of transportation are efficient economically, environmentally and time-wise when it comes to mid-distance journeys of around 400 miles (643 km) – such as the corridor between San Francisco and Los Angeles, the most travelled route in the world. Rail is expensive to install and relatively slow, air travel is inefficient at these distances, and road and water travel is slow. Enter the fifth mode of transport…. 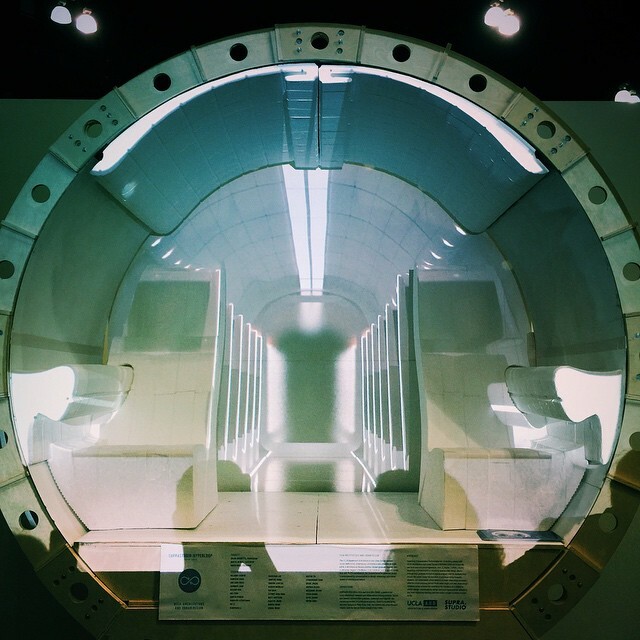 the Hyperloop. 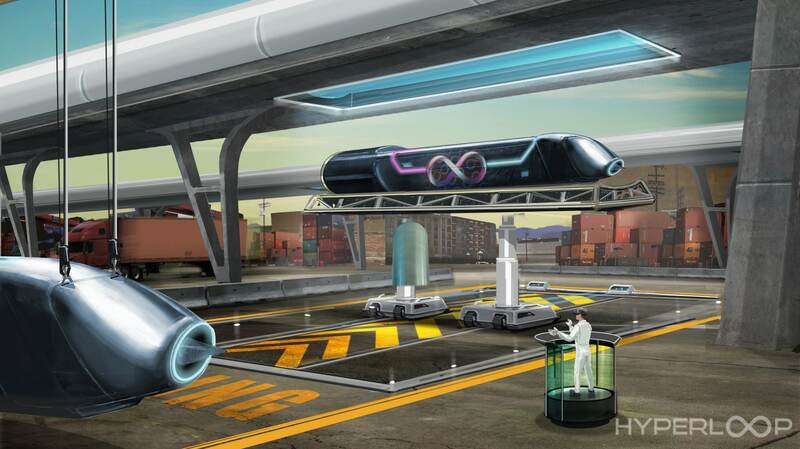 Described by entrepreneur extraordinaire Elon Musk as “a cross between a rail gun, the concord, and an air hockey table,” the new transportation grid firing human beings from one coastal city in California to another is the stuff of science fiction – and will be passenger-ready by 2018. Unsurprisingly brought to you by SpaceX (the branch of Google concerned with epic feats like sending man to the moon) and Tesla Motors, the idea is to revolutionise transportation with capsules that travel superfast on air cushions driven by linear induction motors and air compressors inside a low-pressure, solar powered, steel tubes. Combining magnetic levitation (maglev) with reduced-pressure tubes, the tubes will rest on pylons, rather than heavy railroads. This futuristic transportation would mean the journey from LA to SF could be done in 35 minutes, with a reduced environmental and financial cost compared to conventional transportation methods. The first ever Hyperloop tubes are currently neatly lined up in a ditch, waiting to be assembled and then later tested by Hyperloop Technologies at a site in North Las Vegas. As his Gigafactory, electric cars and private space travel keep Musk busy, he threw the concept out there to see what people do to develop a prototype. He opened the project up in a competition for students and engineers to accelerate elements such as propulsion, levitation, pod and tube design. A team from Massachusetts Institute of Technology was announced as the winner of the SpaceX competition and their bullet shaped human-scale pods. Amazingly the team also claims that they can produce an underwater Hyperloop transport system – they’re just waiting for production costs to go down. Hyperloop is going to have a 3,000 square meter facility (roughly 38,000 sq ft) in a small facility at Francazal Airport in the French city of Toulouse. The former military base will use this facility to work on some prototypes and tests. Hyperloop TT also recently announced a new deal with Slovakia and the Czech Republic to connect Bratislava and Brno. Freelance designer, developer and writer, Antony spends his time between London, Spain and Central America feeding the homeless, righting wrongs and breaking websites. Tags: Awards, Clean energy, Construction, Environment, Renewable energy, Transport, Waste.